As the dominant provider of E-waste removal Perth, we integrate the highest standard of service in the industry. This is to ensure the security of environmental and data compliance. Aleph IT understands the challenges that companies are facing during removal of IT equipment. It is difficult because most businesses operate in different cities. Our team is always available 24/7 and willing to answer all your queries about the service. Moreover, we carry out IT equipment removal 24 hours a day. Regardless if you have many computers or just one item, we can offer an efficient service in Perth. Furthermore, we ensure that there are no hidden costs for our services. 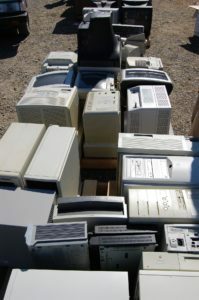 Call us now for more information about our E-waste removal Perth. This entry was posted in Aleph IT Services and tagged e waste removal, e-waste management, waste management e waste recycling.